Circuit training workouts are a great way to switch up your weight-lifting routine or add a little more strength training into your overall fitness plan. For those of you who may be unfamiliar with the term, circuit training consists of a series of exercises that build body strength and are done in a cyclical pattern similar to that of HIIT workouts. Like HIIT training, circuit training exercises are done in quick, high-intensity bursts, however, they focus more on lean muscle building than cardio. Plus, they can be done anywhere, at any time, and don’t always require gym equipment because you can do circuit training workouts using your own bodyweight. At PumpFit Club in Fort Lauderdale, both circuit training and HIIT workouts are at the core of what we do. Our fitness trainers are big proponents of using your own bodyweight and environment to conquer your fitness goals because, let’s admit it, not everyone likes lifting weights alone at the gym. That being said, here are some bodyweight circuit training exercises to help you shred fat and build lean muscle YOUR way! Bodyweight squats and squat jumps are a great way to fire up your muscles in the beginning of any circuit training workout, as they warm up your legs and get your blood flowing right away. To begin, stand with your feet hip-width apart and clasp your hands together in front of your chest or stretch them out in front of you. Then, put your weight in your heels and squat low, keeping your back straight and your gaze forward. When you come back up, jump as high as you can and land on both feet. Repeat this for one minute, then move on to the next circuit training exercise! Give your legs a rest and fire up your arms with 60 seconds of pushups for the next circuit training exercise. To get into position, start in a plank with your back straight and your toes pushing into the floor. Then, place your hands on the floor with your elbows forming a 90-degree angle, push up to straighten them, then come back down. Try to fit as many pushups in as you can before moving on to the next bodyweight exercise. There’s nothing that makes your legs and abs burn like a good, long wall sit, so let your arms recover from the pushups while you position yourself up against the nearest wall. The correct position for wall sits is to have your back straight against the wall with your knees at a 90-degree angle and your feet spread a shoulder-width apart. Stretch your arms out in front of you, place them against the wall, or cross them in front of your chest while you sink your weight into your heels. Then, holding this posture, lift one foot off the ground, place it back down, and alternate for 60 seconds. For a more intense version of this circuit training exercise, do two sets with a short rest in between to give your legs and lower back a break. Now that you have a few easy bodyweight circuit training exercises in your back pocket, let’s get to work! Join us at PumpFit Club in Fort Lauderdale for our BUCK-IT THURSDAY circuit training program, which explores all kinds of strength training and lean muscle building workouts in a fun, group workout environment. 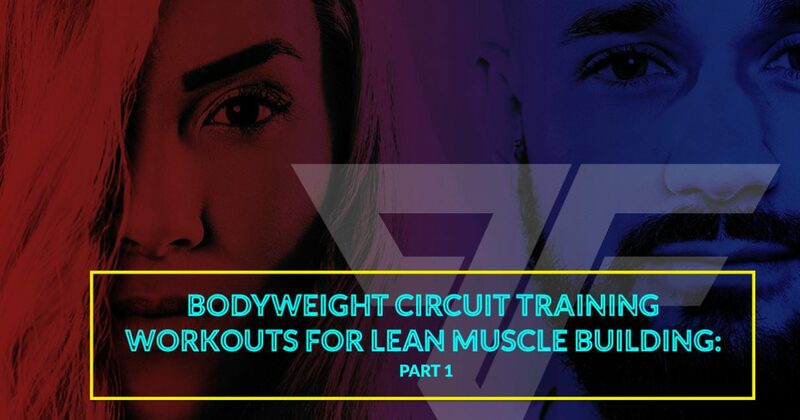 Book your session today, and continue to part two of this blog series for more bodyweight circuit training exercises to try at home!